Project Transformation is a program to connect young energy and leadership, North Texas conference churches and institutions, and urban congregations in a meaningful program by providing dedicated interns to urban churches. Suncreek volunteers work with youth participating in the summer reading program and provide a weeknight dinners for the interns. 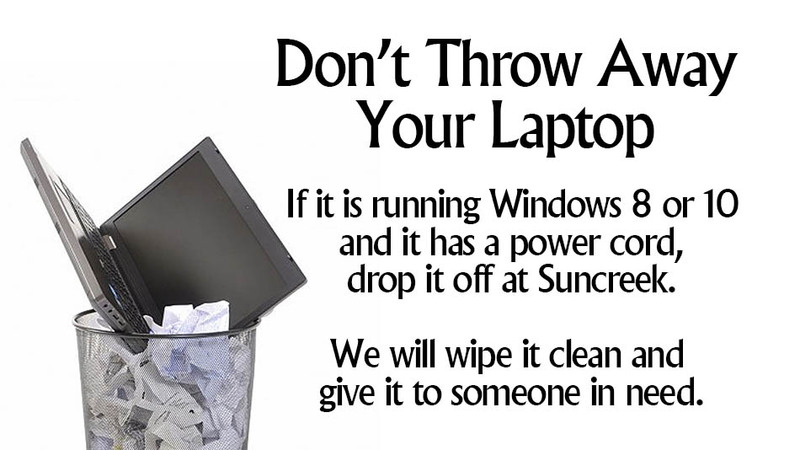 Suncreek also financially supports a summer intern each year. 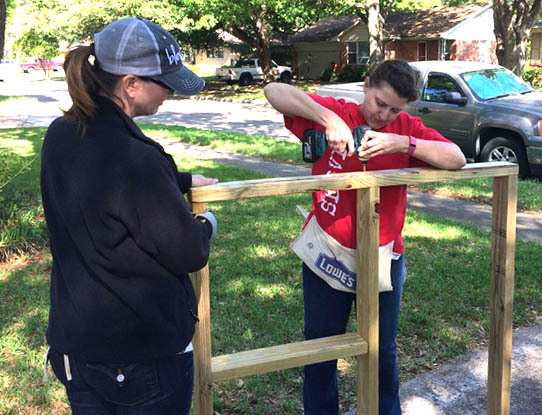 Twice a year, Suncreek UMC Volunteers, in association with The Dallas Ramp Project of the Kiwanis Club of Richardson, build access ramps onto the homes of those who would otherwise be homebound. This enormously satisfying work meets a huge need and is a lot of fun for men, women and older youth. Projects are complete in a few hours, providing a huge sense of accomplishment. To volunteer, send an e-mail message to missions@suncreekumc.org. Do you like to sew? The Mission Monday ladies are putting together kits for neonatal ICU flannel babies, Dress a Girl around the World dresses, and shorts for little boys. You can pick up the packaged kits on the shelves outside of Janet Hunt’s office. Fair Trade Global Market- formerly known as Alternative Gift Fair is bigger and better this year. Please mark your calendars for this two day event November 10th and 11th in Palmer Hall. Hundreds of new items and numerous more ministries will be represented at this market. Come enjoy delicious refreshments while you begin your Christmas shopping. You can choose from Fair Trade crafts or donations that support local, national or global ministries. We provide you with special gift cards for each gift you purchase. Coming to Palmer Hall November 10, 9am-5pm and November 11, 9am-12:30pm. Please help spread the word throughout the community and if you would like to help with this event please contact Janet Hunt in the church office. Boyd Elementary has a new principal and her goal is to have 100 volunteers in the first 100 days of school to help the children at Boyd Elementary. Volunteering opportunities from reading to students, copying, cutting or just shelving books in library. Anywhere from 30 min to whatever you can give each week. Contact Janet Hunt to learn the next step to volunteering at Boyd Elementary. Help us “Change the World” by serving others in our local Allen Community! Volunteers are needed for various home repair projects, yard work, food detail, packaging, & assisting at local service agencies. Leave from Suncreek at 10:30 a.m. Text the word MISSIONS to 41411. 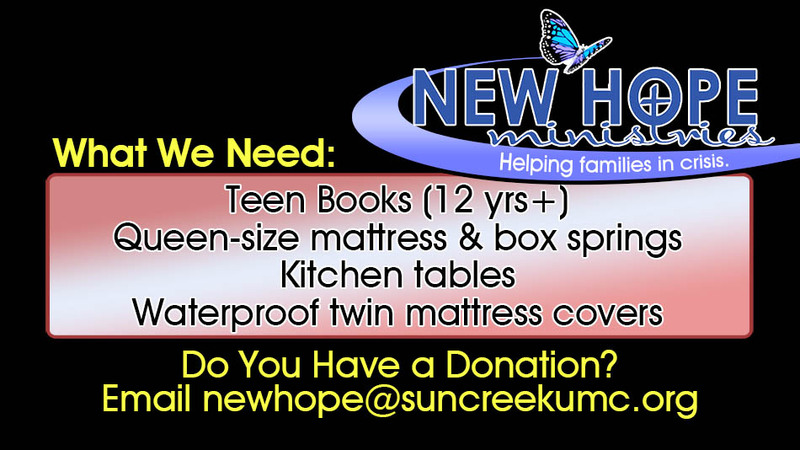 New Hope seeks to provide gently used furniture and household items for survivors of domestic abuse, poverty, or other struggles. If you would like to participate by donating items or assist with the collection and delivery of items, please send an email to newhope@suncreekumc.org or by calling Janet Hunt at Suncreek United Methodist Church. Click here to learn more about New Hope. We no longer need used prescription bottles or grocery sacks until further notice. 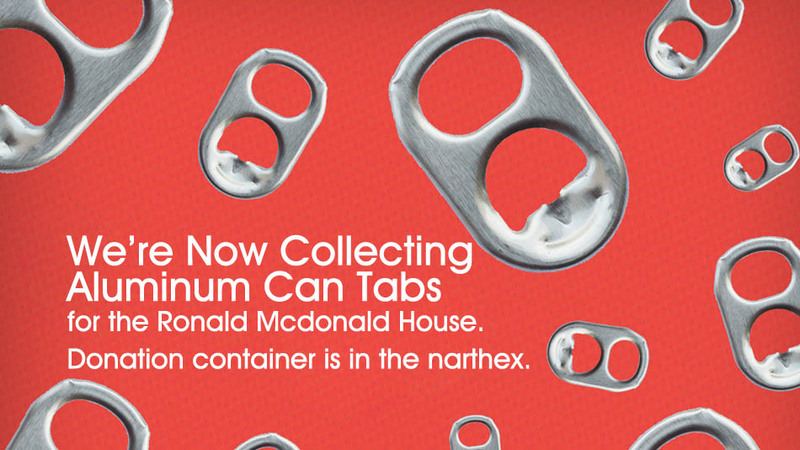 We have started collecting Aluminum Can Tabs for the Ronald McDonald House. 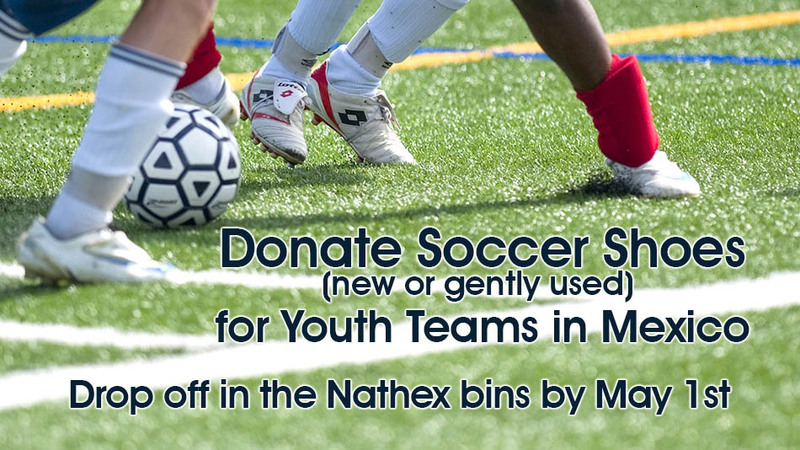 You can bring your tabs to the mission bins. Our prayer shawl ministry has been blessing many recipients. We are in need of new volunteers who would like to learn how to crochet the shawls and help us continue to spread the blessings. If you are interested in learning to make prayer shawls you can join us for Mission Monday anytime from 10:30-12:00 in A101. For more information, please contact Janet Hunt in the church office, janet.hunt@suncreekumc.org. In the narthex mission collection bins, we collect canned and other non-perishable food items for distribution by the Allen Food Pantry. The Food Pantry is a program of the Allen Ministerial Alliance and is located at St. Jude Catholic Church. Allen Community Outreach assists by screening persons who are in need and sending them with a voucher to the Food Pantry if their needs include food. 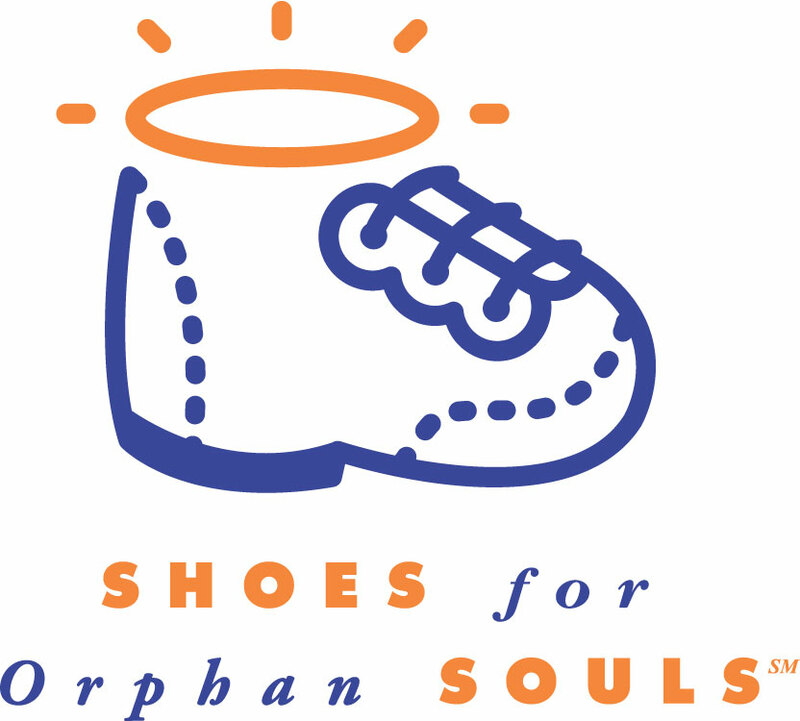 Your donations reach families who have great need. 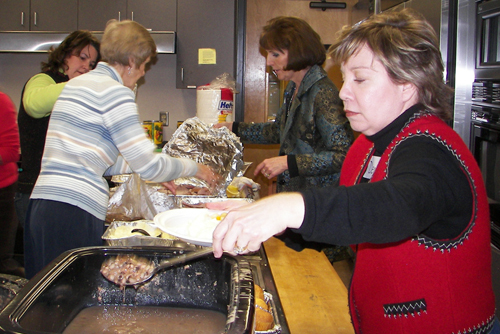 Each January, Suncreek helps prepare a meal for over 175 people at the Allen Ministerial Alliance Seniors Luncheon held at St Jude Catholic Church. In the summer of 2000, Max, a former Suncreek child, started this church-wide collection of books for other children. We continue this tradition by collecting new and gently used books in the kindergarten through sixth grade reading levels. To date, the drives have collected over 9,000 books. Suncreek UMC supports a wide-variety of agencies that aid persons in need. Some of the agencies that we work with most frequently with are listed below.